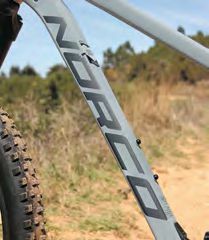 Norco Bicycles is a relatively new brand in South Africa, and we had the opportunity to test one of their 2019 trail shredders, the Fluid FS 1. Check out regular bike tester RUDOLF ZUIDEMA’s first impressions. 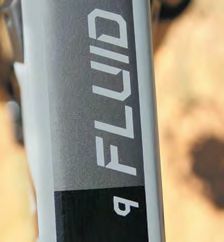 finally arrived in SA and we got to spend some time with the Fluid FS 1, their 130/120mm Travel Trail bike. At first glance the Fluid is a striking bike; clean lines, uncomplicated paint job and 2.6” tyres make it stand out in an instant! The Alloy frame features smoothed welds which add to the clean look of the bike. The internal cabling system is very neat and quiet, and the large removable covers should make replacing cables a cinch. Rear Suspension travel is 120mm via a tried and trusted 4 Bar Linkage with a Rockshox Deluxe R shock. 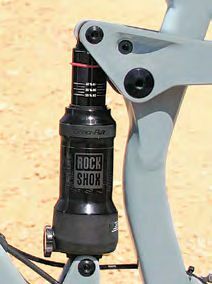 Rockshox also supply suspension for the front in the form of a 130mm Revelation RC. 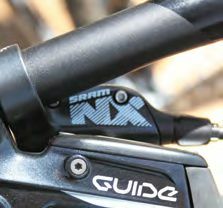 A SRAM NX Eagle drivetrain with 30t chainring and Guide T 4 Piston Brakes paired to 180/160 Rotor combo form the core of the excellent spec package. The WTB ST29 wheels are mated with Maxxis 2.6” Forekaster tires and finishing kit including dropper post are all courtesy of TranzX. While there is nothing glamorous about the spec of the FS1, Norco have done an excellent job of delivering a spec level that delivers in terms of function and practicality. testament to the efficiency of the 4-bar linkage design. 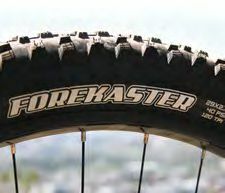 The Forekaster tires are a great choice for the wide WTB rims and offer huge amounts of grip, although the 2.6” size is probably a bit overkill for what most of us would use the Fluid for, but definitely hints at Norco’s roots and heritage in trail riding. The tires, on trend geometry of a longer top tube and shorter stem and a nice aggressive, confidence inspiring 66.5-degree head angle all point to a bike that is intended to be let loose with the front wheel pointing down more than up. That said, the Norco is no slouch on the climbs, especially technical singletrack climbs and the 30T chainring is a welcome boon for those of us that don’t get enough time to keep fit but are up for a good ride on the weekends. That said, a lockable rear shock would definitely help getting some more power through the pedals on long, steep jeeptrack climbs. 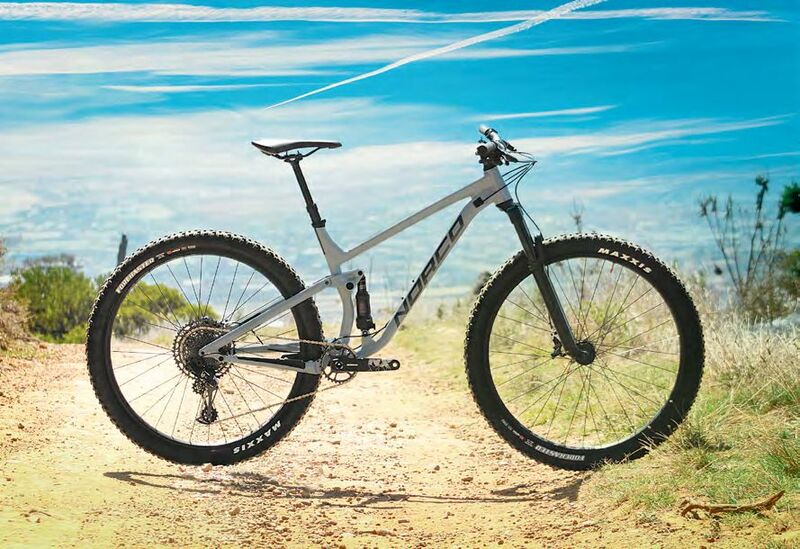 Overall the Fluid is a great bike and Norco have definitely got the spec dialled in terms of intended purpose and value for money without any of the usual spec shortcuts. Apart from a tubeless conversion it doesn’t need any immediate upgrades in terms of reliability or durability, and you can hit the trails straight from the bike shop! When a bike is fitted with chunky 2.6″ tyres, you know it’s gonna shred!